Caterham racing on the Brands Indy circuit ranged from Academy to Supersport. The Caterham R300 Superlight grid will be racing in a weeks time at the British F3/GT meeting on the Brands GP configuration. 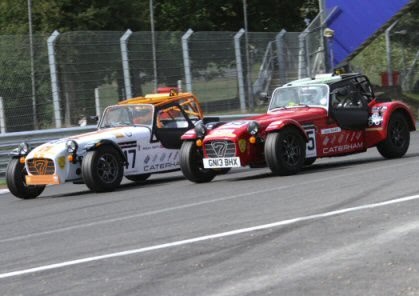 Cars set up by DPR took five from the six podium places in Caterham Academy including the fastest lap in both groups. Podium results and fastest laps were gained in Roadsport and Tracksport and in Supersport an important third place result for David Robinson completed the DPR podium tally. DPR Academy customers Chris Hutchinson and William Smith strengthened their championship lead by gaining outright wins. 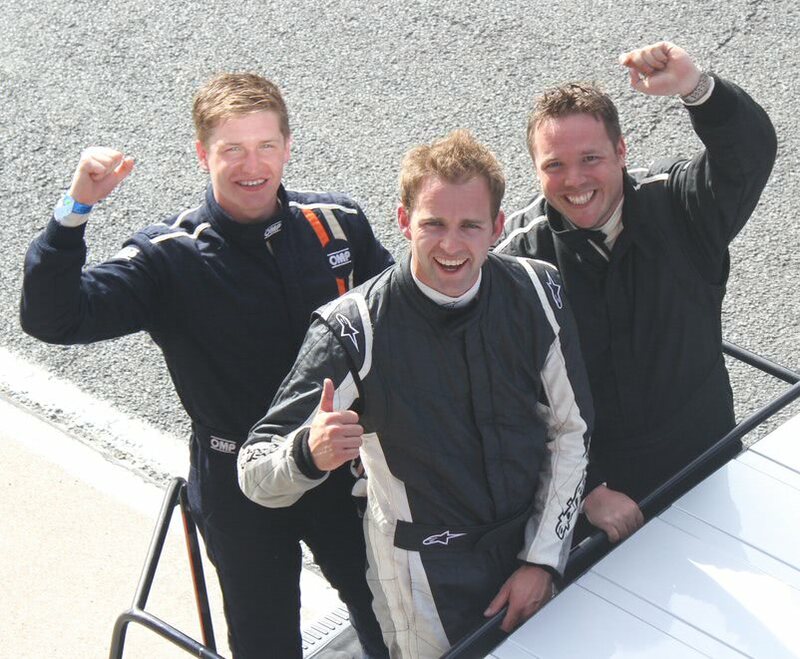 Chris Hutchinson also claimed the fastest lap in Group 1 with Jack Sales claiming this honour in Group 2. In Roadsport the high grid number required a three-grid format to race on the Indy circuit. This enabled DPR customers Max Robinson and Peter Fortune to gain all three fastest laps together with their podium places. In the team supported championships Michael Gazda left no doubt as to his intentions for the Tracksport championship with two 1st places including a fastest lap enabling him to significantly extend his championship lead. Matt Dyer gained a closely-fought 2nd place in race two. In Supersport David Robinson gained an important 3rd in race one to outdo his nearest rival Mike Hart in 6th and had the lead in race two when an electrical problem forced an unwanted return to the pits. DPR set up customers claimed the top four places in Group One. Chris Hutchinson put down a clear signal of his determination to win the Group One Academy championship from his win and fastest lap. Following Chris Hutchinson were Henry Heaton (2nd), James Houston (3rd) and Nick Horton (4th). Fresh from a DPR setup, Jack Sales challenged William Smith (Group Two championship leader) for almost all of their 15 minute race. Despite Jack Sales setting the fastest lap, William Smith held the lead and crossed the line with a 0.2 second advantage over Jack Sales and 0.5 seconds ahead of third placed Lee Bristow.